WDOK Christmas 102.1 in Cleveland, Ohio pulled the song from its 24-hour Christmas rotation this week, citing listener complaints, according to Sources. The song, first penned by Frank Loesser (Guys and Dolls) in 1944 as a duet for him to sing with his wife at parties. Loesser later sold the song to MGM for use in 1949’s Neptune’s Daughter, in which the song plays seriously between Esther Williams and Ricardo Montalban, and gender-swapped for humor between Betty Garrett and Red Skelton. In the years since, the duet has become an enduring holiday classic, sung by everyone from Dolly Parton and Rod Stewart to Michael Bublé and Idina Menzel to Chris Colfer and Darren Criss on an episode of Glee. 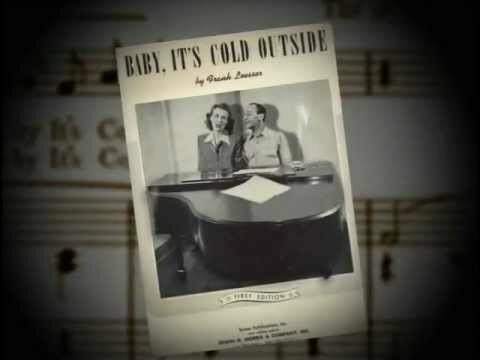 The song continues to be decisive in today’s cultural climate, and for WKOD, it seems the easiest thing is simply to say that when it comes to ‘Baby It’s Cold Outside,’ the answer is no.